Anna (DeCara) Dennison, 83 passed away on Monday, June 18, 2018 at Alaris at Belgrove in Kearny, NJ. 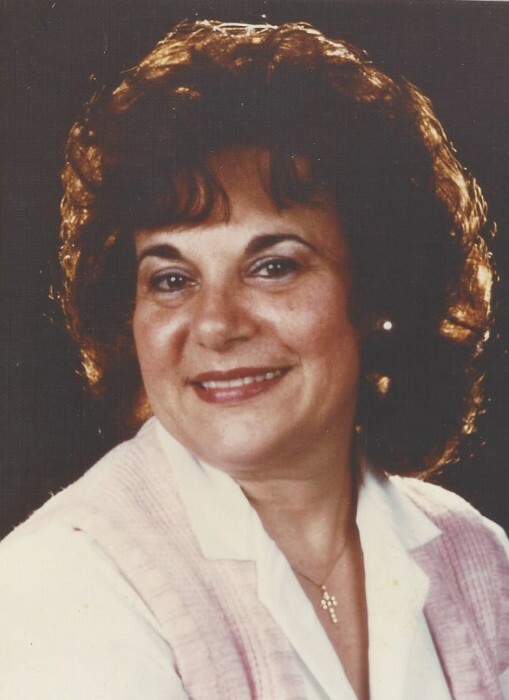 A memorial celebration of Anna’s life will be held at the Thiele-Reid Family Funeral Home, 585 Belgrove Drive, Kearny on Wednesday, June 27, 2018 from 6 to 9 p.m.
Mrs. Dennison was born and raised in Newark, NJ and has lived in North Arlington, NJ for the last 54 years. Anna was a Customer Service Representative at Valley National Bank in Lyndhurst, NJ for many years. She was a Chaplin at Living Water Church, North Arlington and Pastoral Minister at Clara Maass Medical Center in Belleville, NJ and also at Alaris at Belgrove, Kearny. She was a member of the Woman’s Club of North Arlington. Anna is survived by her sons, Thomas DeCara, David DeCara and Robert DeCara and his wife, Brenda; one sister, Rose Johnson. She was the beloved grandmother of Robert DeCara, Jr., Melinda Grubbs, Marcia DeCara, Christie DeCara, Alan DeCara, Shannon Sensibaugh and Christopher DeCara. She was the great-grandmother of Mason Grubbs and Wyatt Dafron.